Welcome to Crescenta Valley/Glendale Service Unit! Our Service Unit is part of the Girl Scouts of Greater Los Angeles (GSGLA). CVGSU serves Girl Scouts who either reside in or attend public or private school within the geographic location of Glendale, La Crescenta, and Montrose. Our focus is to deliver the Girl Scout leadership experience to troops while supporting the Girl Scout mission of building girls of courage, confidence, and character, who make the world a better place. Our growing and thriving Service Unit is home to over 900 girls in 95 troops ranging from Kindergarten to 12th Grade and is served by over 530 adult volunteers. This website is not intended to replace our important monthly meetings where leaders are able to network, share ideas, and learn what’s new in scouting. 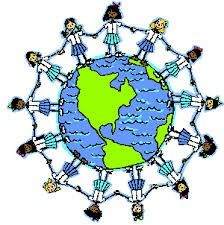 Again, welcome to CVGSU where we know you will enjoy your Girl Scout leadership experience! !